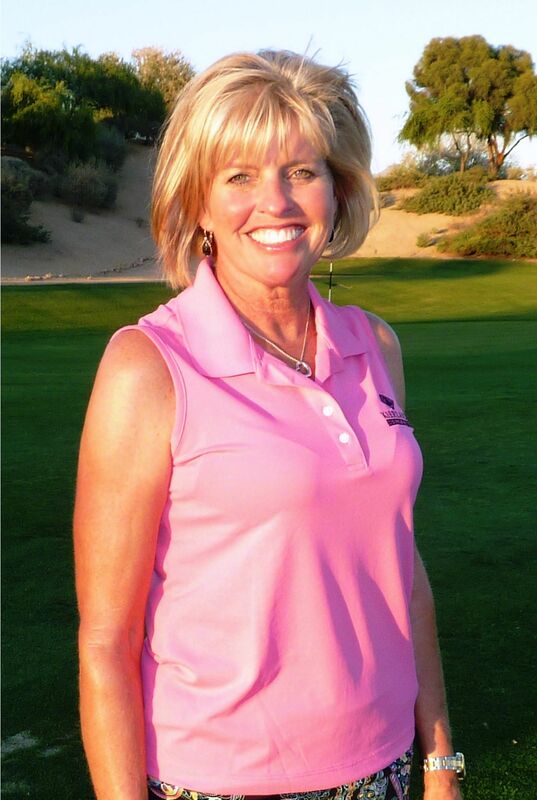 LPGA*USGA Girls Golf was founded in 1989 in Phoenix, Ariz., by Sandy LaBauve, a passionate LPGA Teaching Professional and mother of two daughters. Sandy was first introduced to the game of golf by her mother Sherry Lumpkin, an artist by trade and a talented amateur golfer, who taught Sandy the game by infusing fun drills and games into her golf lessons as a child. Hoping to share her love for the game with her own daughters, Sandy began reaching out to girls from her local Girl Scouts troop and community sports teams and hosted group golf clinics for their girls. Sandy used the same model for her program that her mother Sherry designed for junior golfers, which followed the philosophy that kids learn best by playing games. Her games included team scrambles, night golf, throwing out your three worst holes, and whatever else kept the girls learning, improving, and having fun. When the clinics ended, the girls wanted to continue to play, so the “Junior Girls Golf Club” was born! 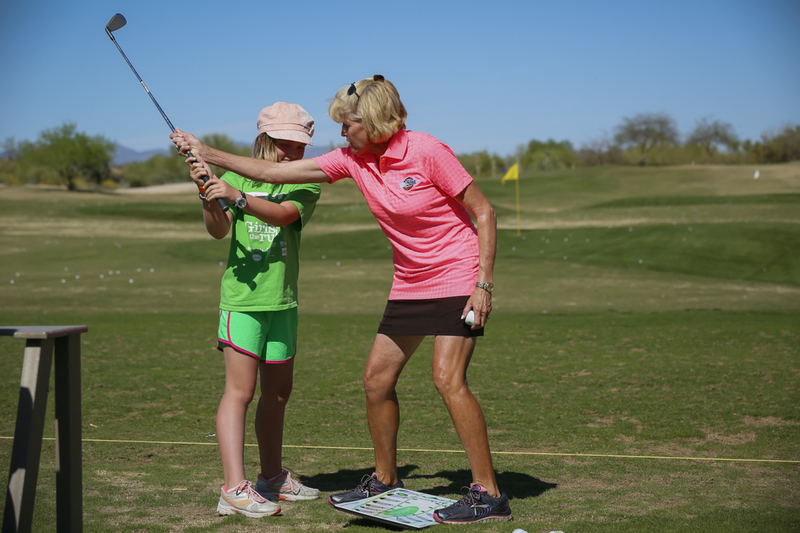 Once her pilot program was perfected, Sandy developed a manual for other golf professionals interested in creating girl-friendly, junior programs, which included lesson plans, fun skill building games for varying ability levels, and best practices for creating a quality learning environment for girls. Beginning with just 10 programs, Girls Golf is now in more than 300 communities in the United States and expanding every day. With the support of the Ladies Professional Golf Association and the United States Golf Association, LPGA*USGA Girls Golf now reaches 50,000 girls through the game of golf each year. Thanks to the vision of Sandy LaBauve, more than 300,000 girls have been introduced to the game of golf since the Girls Golf program’s inception. More than 25 years later, Sandy continues to give back to the game. Pictured here, she introduces a young member of Girls on the Run to golf during the 2015 LPGA Founders Cup Girls Golf Clinic.